Hurdling, but you are the hurdles. Player one uses WASD, player two uses arrows. 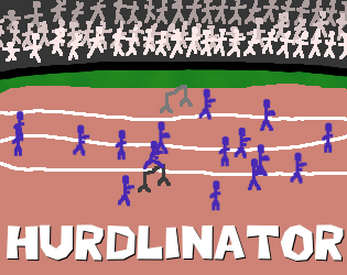 Hurdles aren't a very movable creatures, so they move one pixel per button press. Try to kill as many runners as you can by moving to the right while they're jumping! Made in about 2 hours on Gamedev.js Game Jam in Warsaw. If the buttons don't work, click on "dosowisko.net" text first.